Conference Co-Chairs Jessica Ashcraft, Associate Director of Student Leadership & Involvement, and Kirstin Maanum, Women’s Education Specialist of the Women’s Resource Center, invite you to the Women’s Leadership Summit (WLS). WLS aims for women to feel more confident as leaders by helping them build valuable skills and support networks. The program will include a keynote speaker, program sessions, and the opportunity to network with others interested in supporting women’s leadership. When faced with choices that affect who we are and what we want to become, we need to ask ourselves how we can impact our communities for the greater good. The 2019 Women’s Leadership Summit planning committee hopes that the stories, solutions, and actions of others will inspire participants to couple their own unique talents and identities to further their paths toward leadership. Further, we hope participants will take the knowledge learned forward and create avenues for others to join. 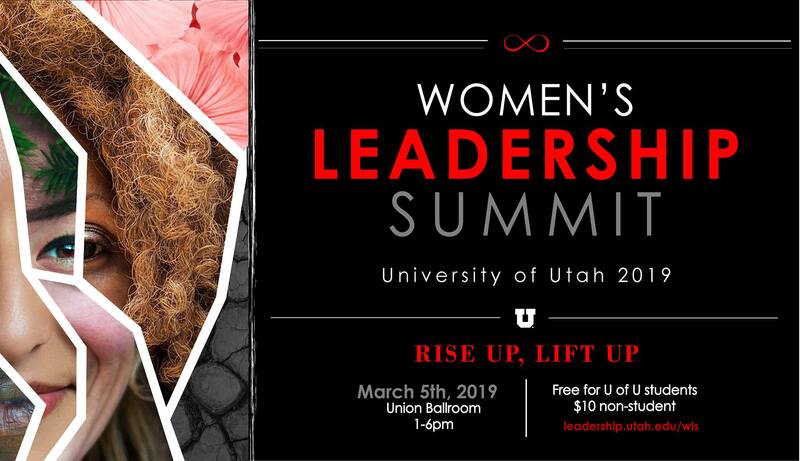 The 2019 Women’s Leadership Summit, “Rise Up, Lift Up,” will engage a broad spectrum of voices. It will allow space for participants to explore what leadership means and how to harness skills that can be built in their own lives. All breakout sessions will provide participants knowledge, skills, and/or experiences that will offer a foundation for them to inform their definition of leadership. The summit will invite participants to rise up but also lift others up with them. Join us in the opportunity to explore leadership and celebrate the diversity of experiences that will be offered on March 5, 2019!